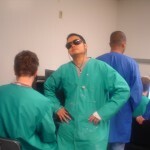 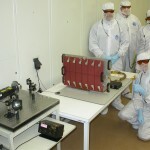 The photo gallery below is an informal documentary of the SDC student team and the development and operation of the instrument. 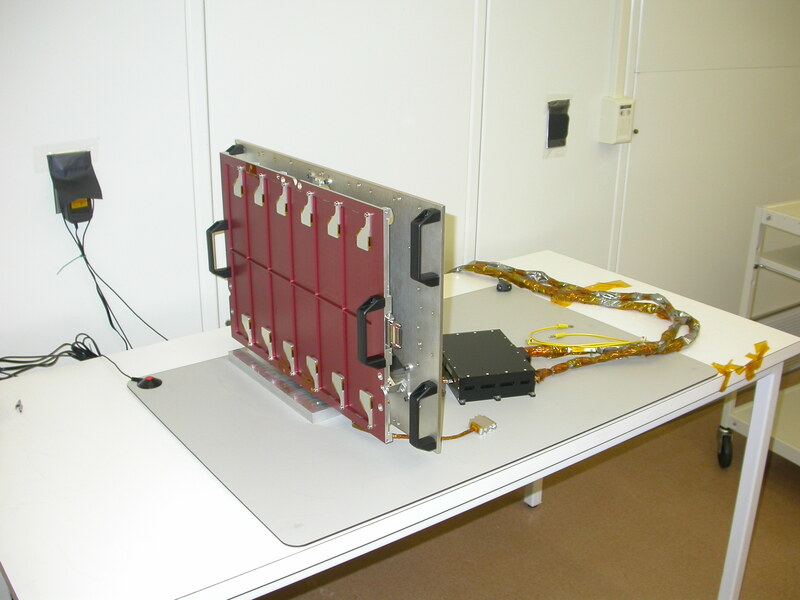 All three components of the SDC assembled and ready to be put into the New Horizons spacecraft. 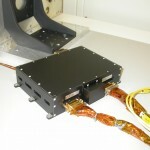 If you will notice, the dust detector itself is protected from dust hitting it before it is in space. 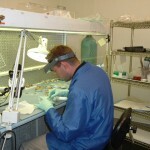 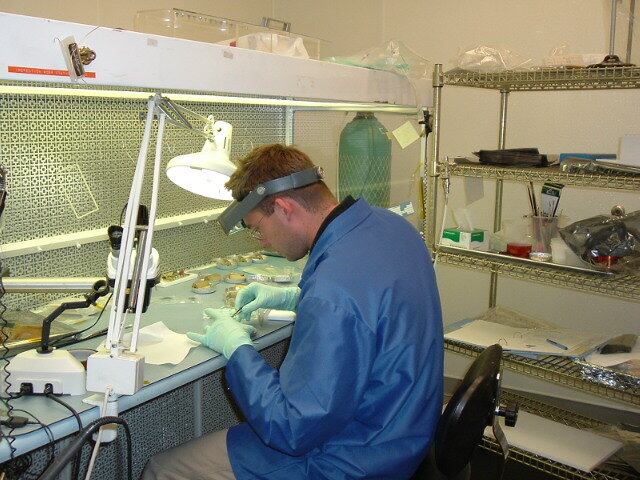 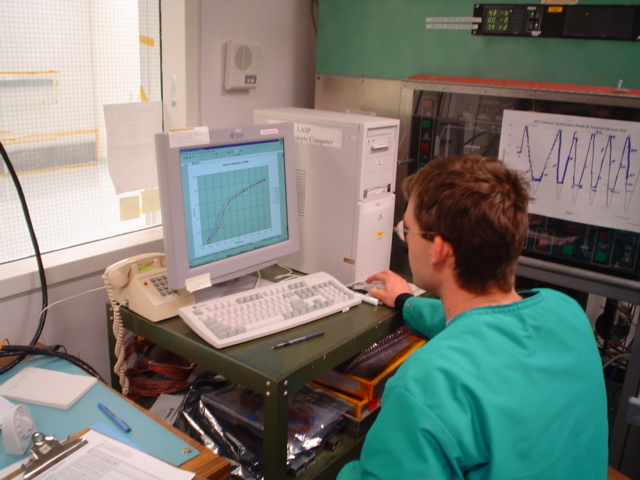 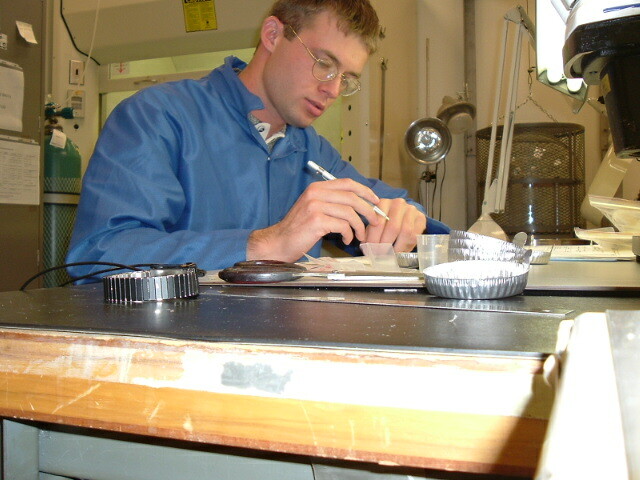 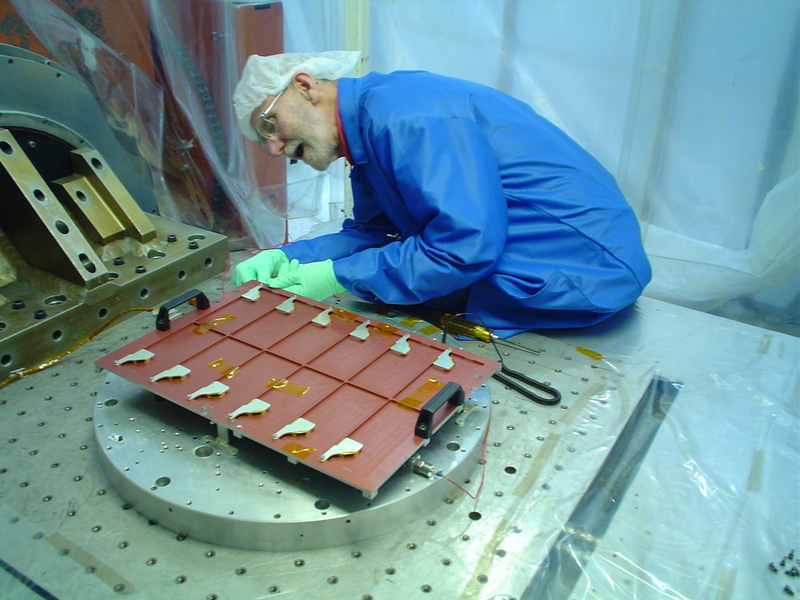 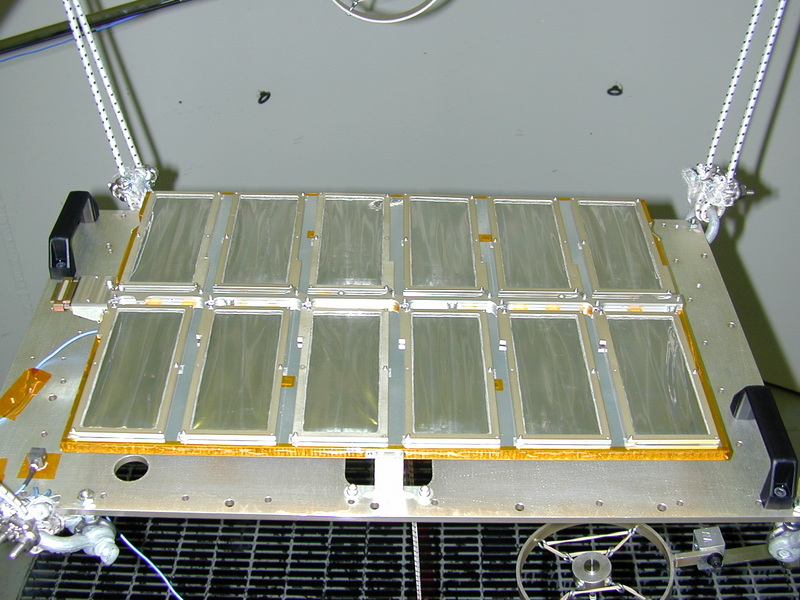 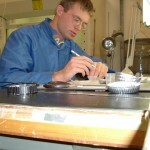 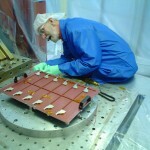 The detector assembly under construction in a clean room. 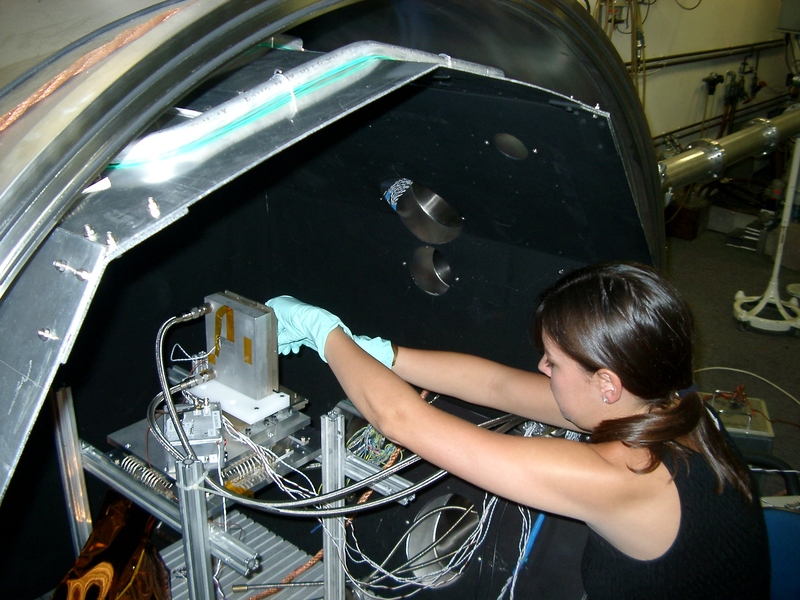 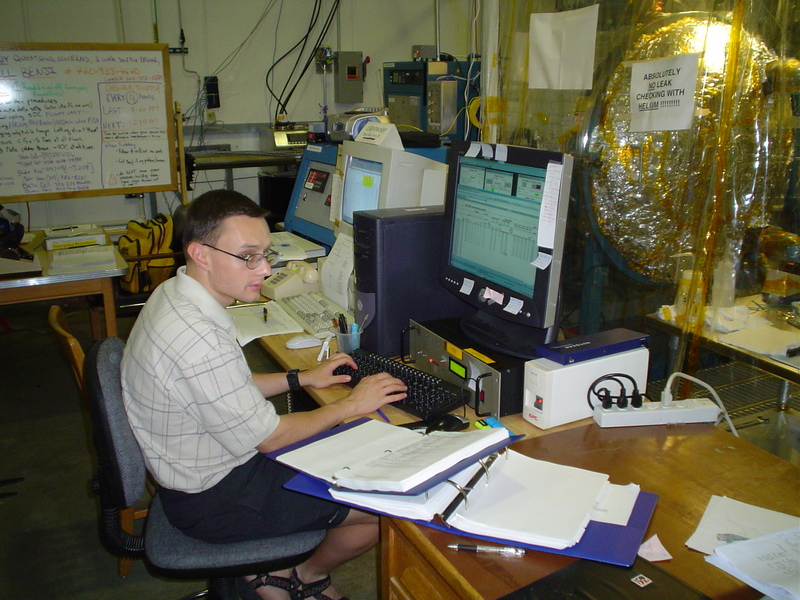 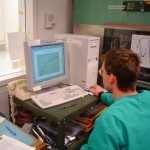 This is the “important part” of the SDC: The detector. 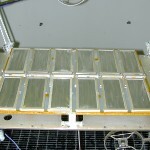 You can see here the individal cells that will gather the particles once the SDC is out in space. 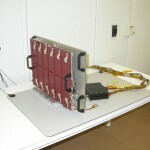 The finished electronics box. 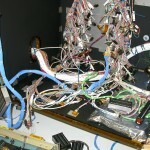 Inisde this box is all the circuitry that makes SDC work. 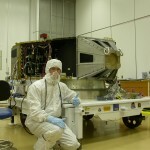 A technician kneels in front of the to-be-assembled New Horizons spacecraft. 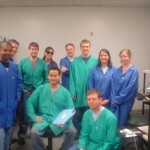 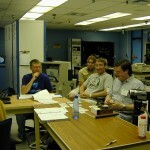 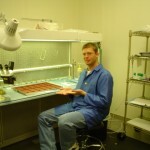 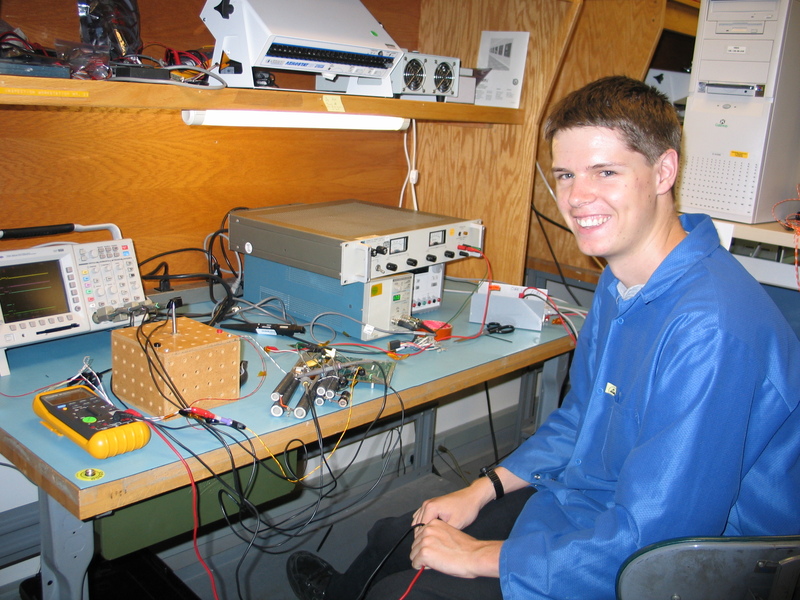 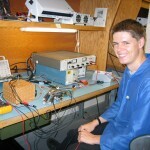 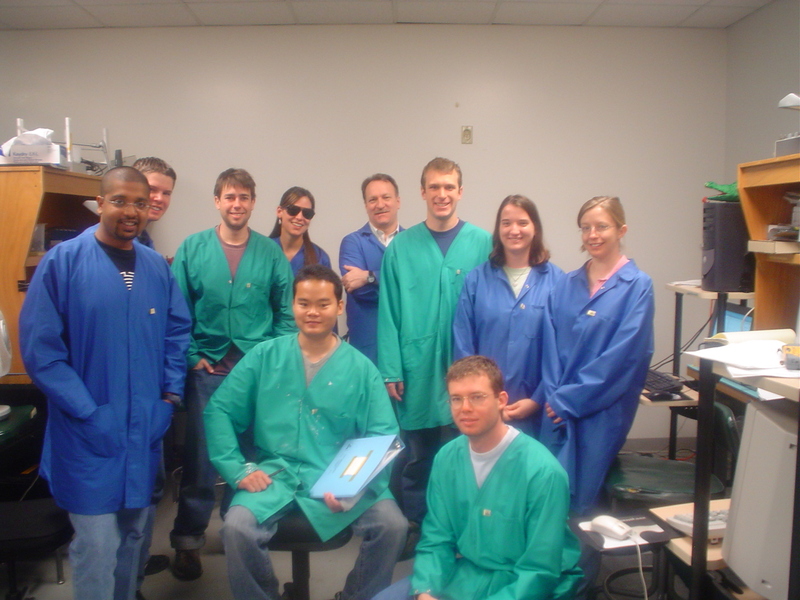 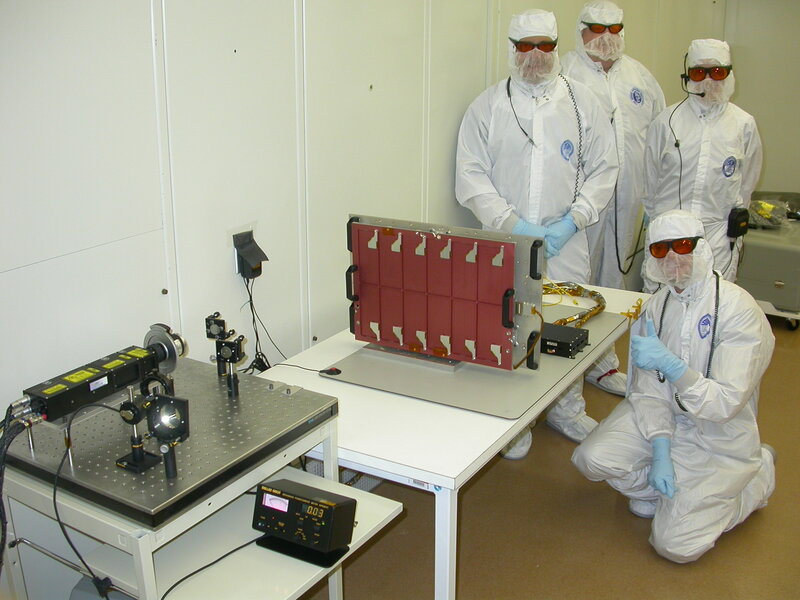 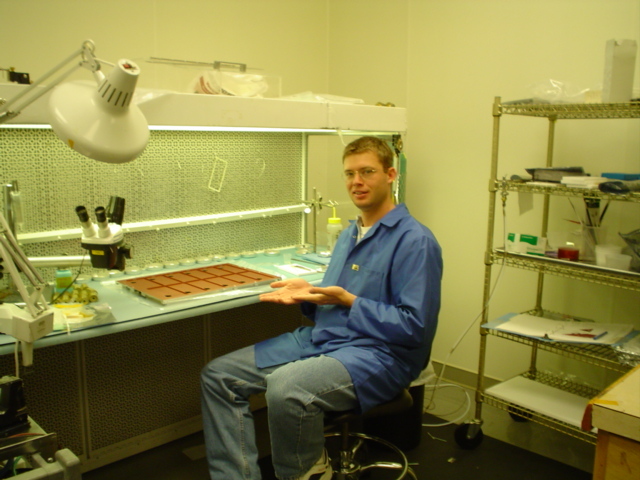 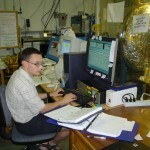 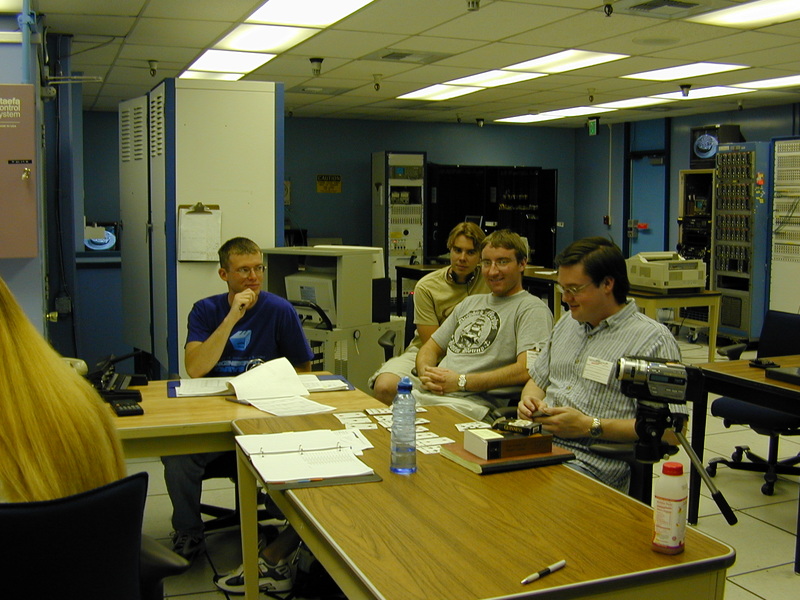 This picture shows some of the SDC team next to the finished instrument and some of the testing equipment. 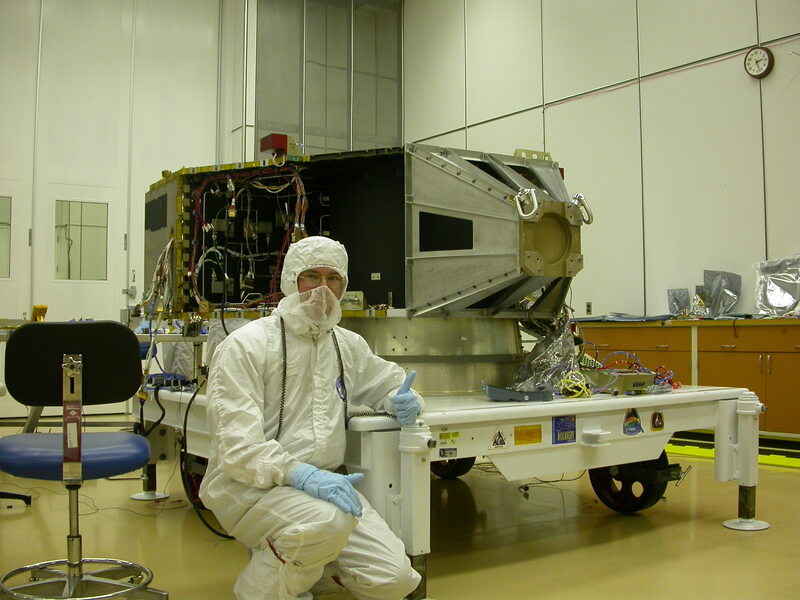 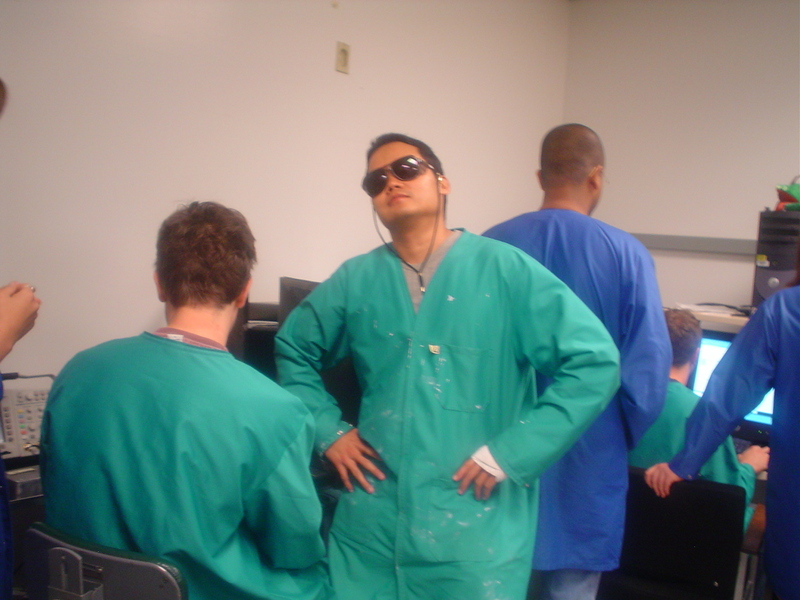 The white suits are worn to protect the instrument from dust, dirt, and dead skin that could come off human bodies. 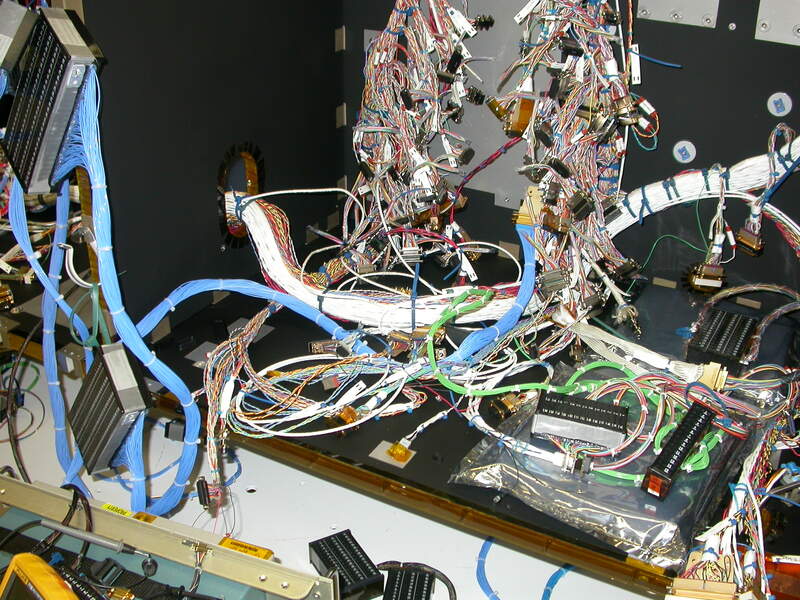 In this image are some of the guts of the New Horizons spacecraft. 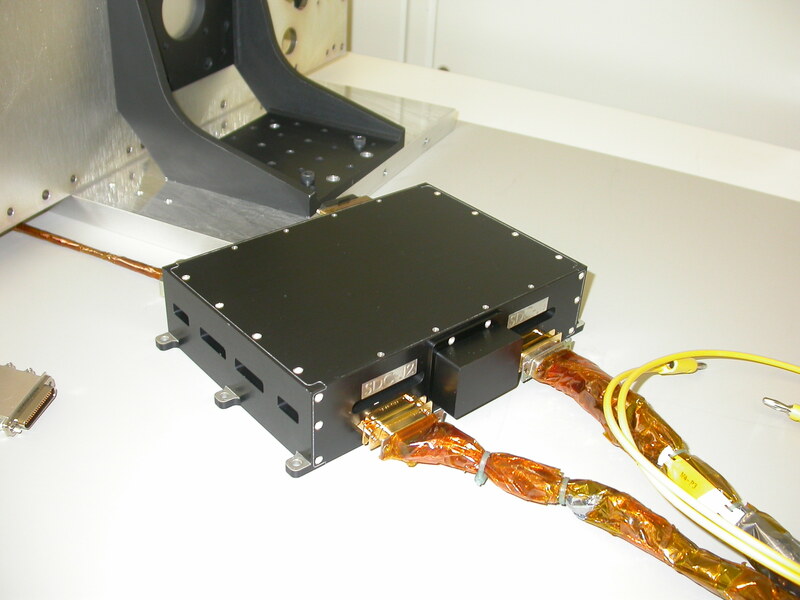 All these wires connect to different instruments aboard the craft and to the craft itself, so that the data can get back to Earth via the High Gain Antenna.